Lissa Mish Arfeen Volunteer group in cooperation with Burj Al-Luqluq organized ‘Ala Wajh Al-Suboh initiative in which they enjoyed a nice Jerusalemite Suhur (Ka;ik, Falafel and Tamarind juice) while listening to Madeeh songs sung by Firas Al-Qasas. 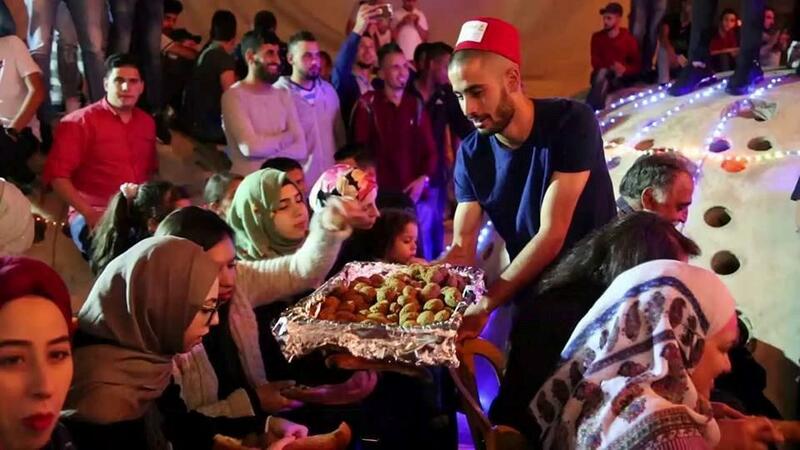 The initiative started at two in the morning on the roof tops of the Old City houses near the Cotton Marchants’ Gate as the residents showed their interest to have this magical religious experience to have Suhur and pray Fajar at Al-Aqsa Mosque. The initiative aimed to break the stereotypes and motivate people to have their Suhur, in addition to encourage non-Jerusalemite people to participate in such events.